I feel very fortunate that I’ll be on my own peculiar journey playing the role of a Dandy Minion, charged with helping to bridge the gap between stage and audience during the proceedings this month. What the 4 distinct shows, which split the 24 decades into segments of 6 decades/6 hours, have exactly in store for me as a Dandy cast member actually remains a bit of a sublime mystery – and I’m thrilled at the prospects of the adventure that awaits. It’s a fabulous opportunity that means so much beyond the typical show experience for me, bringing together the years of training and development together with some deep emotional connections and personal meaning, along with an incredible team assembled under the shining beacon of MacArthur Genius Taylor Mac. 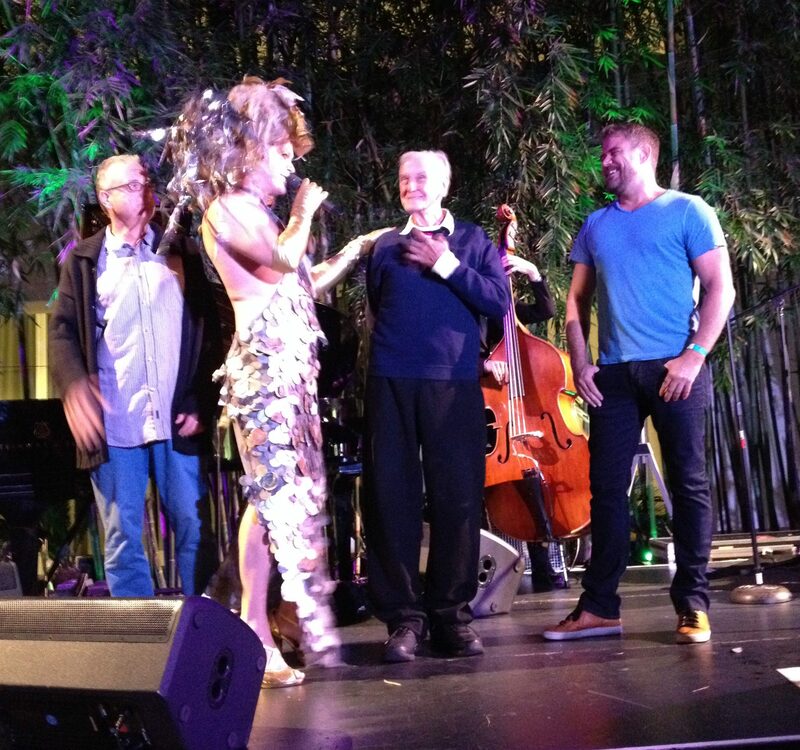 I first experienced Taylor Mac just a few years ago when judy (Mac’s preferred pronoun) came to LA’s Hammer Museum on a tuesday evening as part “More! More! More! An Evening with Joey Arias, Justin Vivian Bond, and Taylor Mac.” The energy of the gathered audience in attendance was palpable – providing a buzzing energy of so many bodies gathered (much like what one can expect at the Ace Hotel for this most anticipated event). The artwork on exhibit by Jim Hodges, whom the evening was in honor of, was spectacular and transcendent in its own right. I met up with some friends, fellow performance artists who studied under Rachel Rosenthal together, R.SKY Palkowitz and Yozmit – and thanks to Yozmit’s friendship with the event’s producer we lucked out with three front row seats that seemed so destined for us. I found myself directly in line with the microphone and therefore the trio of incredible performers. I didn’t know what to expect with Taylor Mac opening the show, but I was quickly blown away. 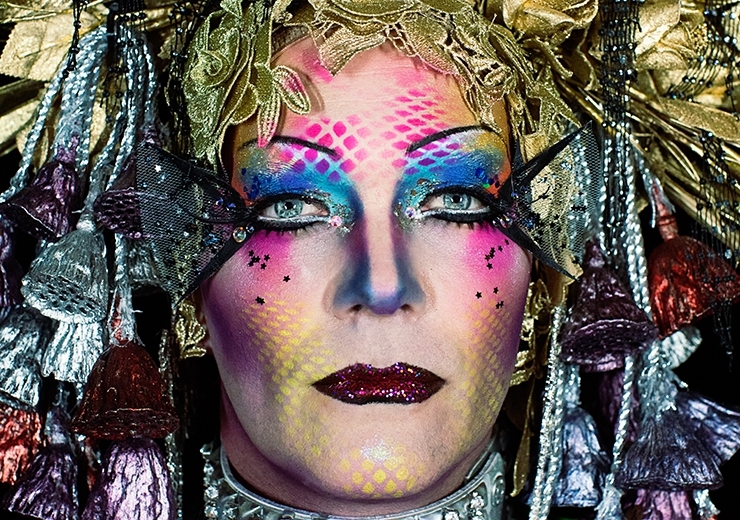 Taylor Mac was a kindred spirit, a fellow performance artist with a shaved head and a penchant for glittery makeup and dazzling costumes who engaged the audience while singing and storytelling that had meaning and spirit, while simultaneously reminding me of so many of my friends and colleagues all rolled into one inspiring dynamo. I had arrived at the museum with a dark cloud over my head and a sunken heart. 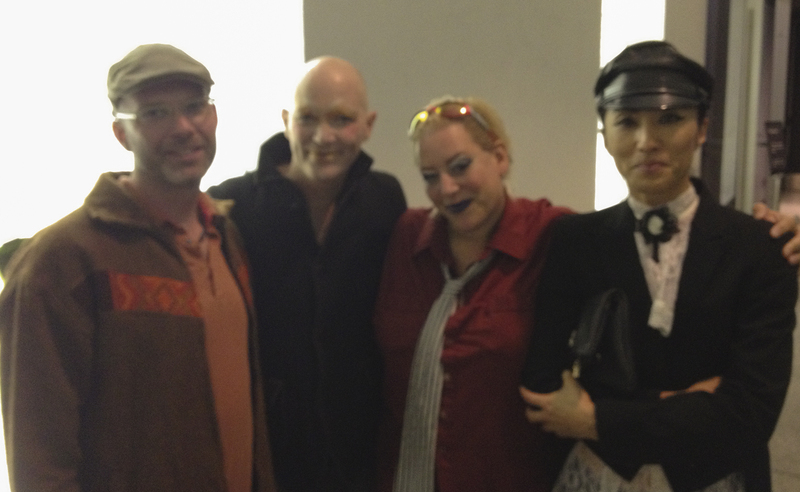 A dear friend of mine, Randy Harrison, was gravely ill in the hospital several miles away. 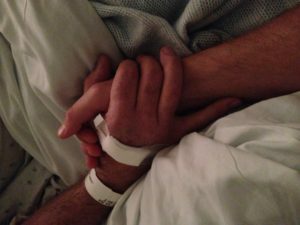 I spent several hours on monday night holding his hand through a series of some horrifically painful cycles brought on from his illness. I was distraught by it all, for I had just seen him looking and feeling perky on sunday evening at his house during a little party to celebrate the upcoming surgery that was going to extend his life battling cancer – but in less than a day things took an unexpected turn. The future was now very bleak. I needed my own sort of spiritual medicine, and Taylor Mac was exactly the fabulous shaman-doctor that helped to clear my heart and take me out of body into the vast universe above offering perspective on the fragility and temporal beauty of life. I was taken on a cathartic journey, full of tears and laughter brought on by the brilliance of Taylor Mac’s keen way of including the audience in a most entertaining and enlightening conversation. I’ve seen audience participation go terribly wrong, but under his playful expertise it was delightfully oh-so-right. I also loved seeing my dear friend and theatrical cohort, Robert Patrick Playwright (one of the originators of modern gay theatre) randomly get pulled up on stage that evening for some of the participation. Taylor Mac was instantly propelled into the heights of my all-time favorite artists that night and I have been blessed to see him several more times for continued delights. There’s so much more I could share (and perhaps over time I shall), of just why I love the performance of Taylor Mac so much. Anyone familiar with my work will see obvious connections and understand a bit why. 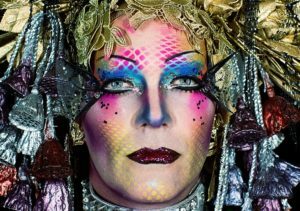 But you really need to experience Taylor Mac for yourself and form your own kind of transcendent experience from it all. There’s a reason he’s gaining so much acclaim and attention – and it’s not just because judy sparkles in the spotlight (although judy really SPARKLES in the spotlight). There will be your own conclusions and revelations to be made from this astounding production, but I suspect you’ll find yourself the one sparkling after the show. A few weeks after that first experience — my friend passed away. It’s been several years, but he forever resides in my heart, in fond memories, and in a soon to be completed short documentary about his sculpture and photography. Randy and I shared a lot of history together, including sharing a lot of time crafting spectacular events, space on a stage where I wore a lot of colorful outfits, sang songs, and delivered messages that uplifted the audience and stimulated personal growth. He would be so happy to know that I was about to be part of the same this month in a remarkable and breath-giving endeavor like Taylor Mac’s A 24-Decade History of Popular Music. How wonderful to read about Randy and your experiences with Taylor Mac. Saturday will be wonderful – so glad I am coming! Thanks James! I know Randy is smiling at all of this – thrilled you will be there.